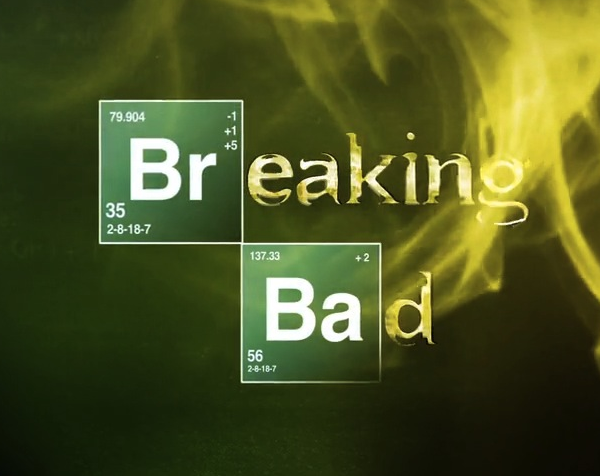 This article does not contain specific spoilers for Breaking Bad, but readers are warned that some could label the following discussion of the show’s narrative technique “spoilerish.” No specific plot points are divulged. Breaking Bad is a television show that ruins other shows. The power of the narrative that has played out over the last five seasons puts the vast majority—if not all—of other pieces of writing on television to shame. This is not because other shows are lacking when it comes to writing, but because no other show I can think of so has so drastically changed from what it was when it began while still feeling part of the same long story. It’s that concept of a single long narrative that plays out over multiple seasons which lets it excel in ways other serialized dramas can only dream of. Most other serialized television shows still adhere to the season-to-season story arcs that give viewers a sense of closure at each finale. Yes, there may be cliffhangers that need to be resolved in subsequent seasons, but there is still a ending. Think of Lost, a show that purported to be about one long story: a group of plane survivors and the mysterious island that they found themselves on. While the show had the central mystery of what the island was (a concept that the writers never fully explained other than in abstract, pseudo-poetic ways) each individual season still felt like a season of television trying to outdo the twists and turns that came before. Each season presented a volume in character’s lives and what they experience, but always had a closing when it came to the season finale that signified that this part of the show was finished and next year would be something new. And, in the case of Lost, something that may seems completely at odds with what has come before, whether in plot events or character development. Breaking Bad has shades of that concept, with each season finale bringing some sort of closure, but upon rewatching the show, it’s clear that these are not conclusions at all, simply another chapter in the long narrative of Walter White that creator Vince Gilligan and his writing staff are presenting. When the show comes to a close in two weeks, Gilligan and his team will have produced a piece of television that if viewers sit down and begin with the Pilot they will be starting a single story of what happens (as Gilligan stated when the show began) when Mr. Chips becomes Scarface. The fact that the writers have not only delivered on that promise, but made the shift entirely organic within the confines of the narrative they are presenting is astounding. Horrible things happen within the story of Walter White but none of them feel forced. Breaking Bad is a show about reaction and consequences. Yes there are the moments that cause our collective jaws to drop but none of them feel like they were inserted simply to get a reaction of the audience. Consider this in relation to a show like Game of Thrones. Both stories have no qualms about killing characters, but where Thrones often feels like it does so simply to subvert viewer expectations, the moments in Breaking Bad are there because the narrative has reached that certain point. The shocking moments are not there for the simple purpose of wanting to shock. They are there because in this story they have to be. The commitment of the writing staff to showcasing what happens when choices are made, often with devastating results, never feels forced. That is why Breaking Bad ruins other television shows. It is willing to go to emotionally dark places that leave viewers shaken not simply for the fact of getting higher ratings. Breaking Bad goes to those places because this tale could go nowhere else and, as the show nears its end, those places are becoming increasingly grim but because they are the only place this story could go. While that place may be hard to watch at times (Breaking Bad excels at tension other narratives can only dream of achieving), we cannot turn away, even when our worst fears for the fate of characters we have watched over five seasons come to pass. The entirety of the narrative actually feels like it has been building to these final moments. It won’t be sad when it ends. No, it will be satisfying to know that the conclusion of the story of Walter White could end no other way, because it fits organically with all that has come before. I don’t call that sad, I call it beautiful.